While Google's Chromecast might seem poised become the quintessential universal streaming device, it's taking a hell of a long time to get there. So in the meantime, Netgear's new NeoMediacast dongle is picking up where Chromecast left off by offering streaming content with Micro SD storage capabilities—assuming you're an Android user, that is. The Miracast-enabled dongle is compatible with any device running Android 4.2 Jelly Bean or above, meaning that you should be able to sling all your favorite streaming services directly onto your TV right out of the box. 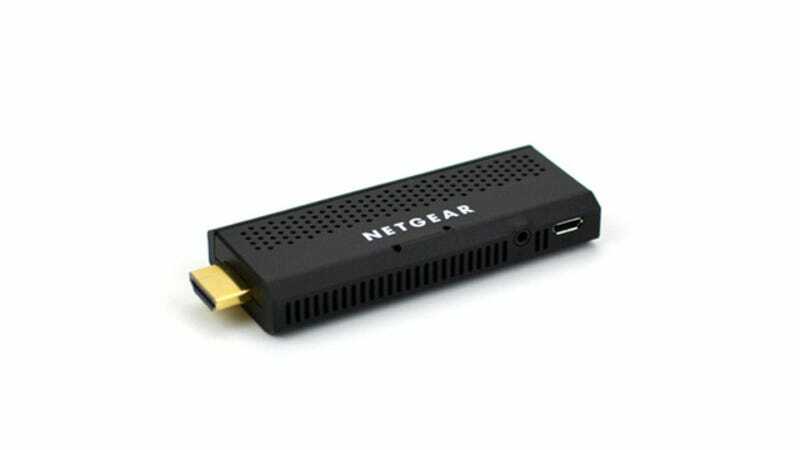 Unlike Chromecast, though, you're not just limited to what you have floating in the cloud; the NeoMediacast comes fully equipped with a Micro USB and Micro SD slot for additional storage and playback. So basically, you can stick any photos and videos you have lying around onto a Micro SD card, load them into your NeoMediacast, and display them on your TV straight from the dongle—no cloud access necessary.